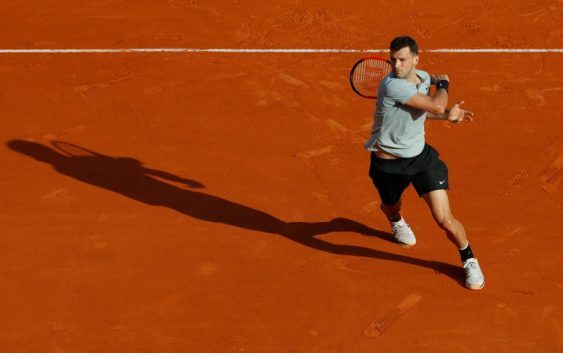 (Reuters) – Fourth seed Grigor Dimitrov survived a scare against Pierre-Hugues Herbert before holding his nerve to win 3-6 6-2 6-4 in the second round of the Monte Carlo Masters on Tuesday, while Dominic Thiem edged out Russian youngster Andrey Rublev. Dimitrov was far from his best in the first set, dropping his serve twice against French qualifier Herbert. The 26-year-old Bulgarian rallied back in the second set with consecutive breaks before serving out to love. 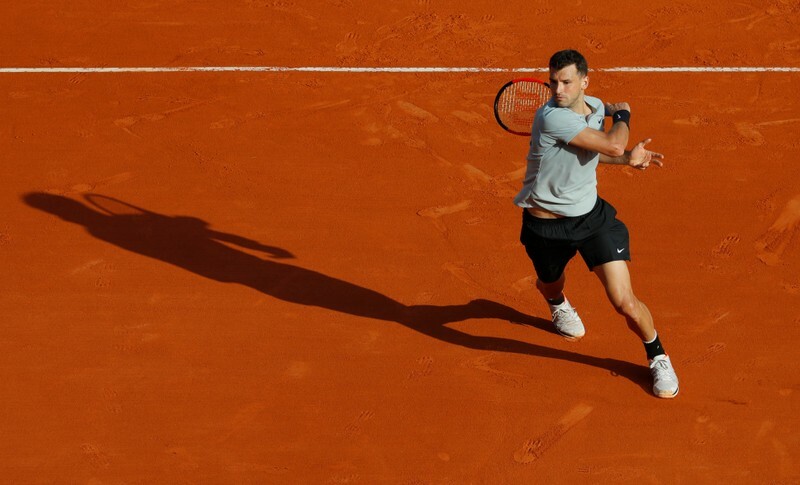 Dimitrov secured a crucial break in the fifth game of the decider and went on seal a third round spot with a powerful forehand, which world number 82 Herbert returned long. Fifth seed Thiem produced a battling display to save a match point and beat Andrey Rublev 5-7 7-5 7-5 in the second round. Thiem led 4-1 in the final set before his 20-year-old Russian opponent recovered and was one point away from victory at 5-4 and 40-30 but hit a forehand narrowly wide. Thiem, a twice French Open semi-finalist, regained his timing to break back against Rublev before another break in the 12th game secured victory. The 24-year-old Austrian, who is returning from a five-week absence due to an ankle injury, next faces former world number one Novak Djokovic or Croatia’s Borna Coric for a quarter-final berth. “I was 10 centimeters from being out of the tournament,” Thiem said. Last year’s semi-finalist Lucas Pouille blew a one-set lead to suffer a shock 2-6 6-1 7-6(3) defeat to German serve-and-volleyer Mischa Zverev. Germany’s Alexander Zverev recovered from a slow start to claim a 4-6 6-3 6-2 win over Gilles Muller of Luxembourg.